Fun fact: that video was published on December 15th of 2013, just two days after The Hobbit: the Desolation of Smaug was released. Either these artists were very moved to write, shoot, edit, and release a song in two days or… it was made before any of them had even seen the film. For the record, there is nothing innately wrong with this. People are allowed to have opinions and reactions of any kind to fictional characters – there are bigger problems in the world to deal with. One of the many more important problems gripping our world. But that said, there is also an innate problem of jumping to conclusions and facing new material with a closed mind. Also I titled this blog post with “in Defense of Tauriel” so I am going to defend her inclusion in this Hobbit trilogy. While Tauriel “may not be in the book,” she brings many improvements to the story of The Hobbit. First and most obvious is the addition of a woman in a world where vaginas are more mythical than dragons. Eowyn is great but it is nice to see that there was more than one active woman in Middle Earth. Now that I got my cleverness out-of-the-way, let’s dive into the more substantial contributions. When Tolkien wrote the Hobbit, the Lord of the Rings did not exist. In short: the Hobbit was written in a vacuum that has not existed since (and never will again). As with any simple story that was later expanded into a full universe, there are inconsistencies. For starters, let’s talk about those wood elves: what a bunch of dicks. Seriously, how are these people good guys? When reading the Hobbit, the wood elves are terrible. The are greedy, selfish, and imprison the dwarves for basically no reason (starving dwarves stole food, can you believe their nerve?). Sure they don’t want to directly kill them like the goblins do, but is rotting in a cell really that much of an upgrade over a quick death? And once the dragon is dead and the dwarves and men are having a stupid (but kinda legitimate) battle over the treasure, the elves show up and pretty much declare it is theirs because…. As much as some people like to claim that the Hobbit is a perfect book and that all problems came from Satan (Peter Jackson), the reality is that this was one of the biggest problems in the story. 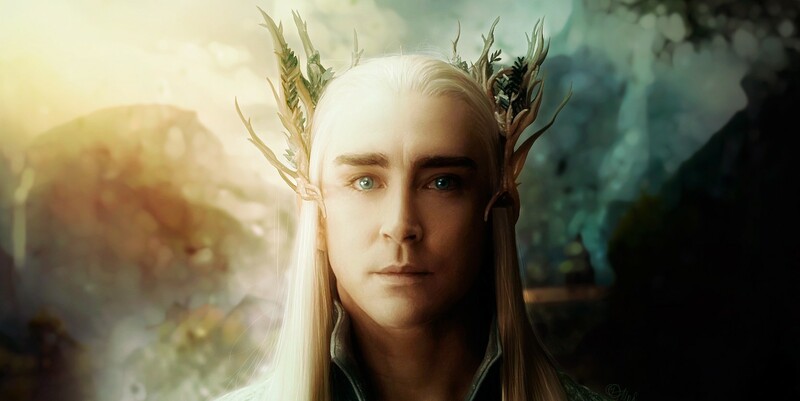 If we are to believe that the elves are good guys (and Lord of the Rings seems to say so) then they cannot be so easily compared to the bad guys. People can make jokes but this is the scene of the movie that argues that the elves should actually you know, do something positive. 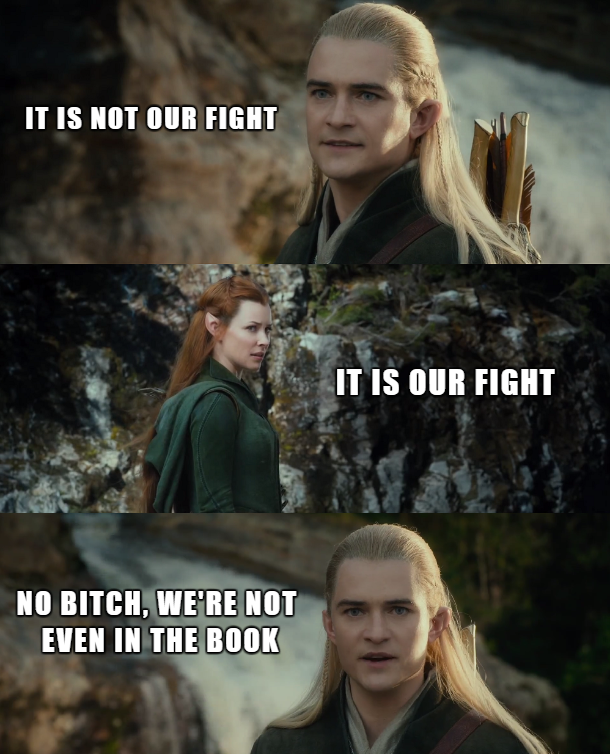 Sure, neither one is in the book but where else (as prince of the Mirkwood elves) would Legolas be and again, it is nice to have a character calling the elves out on their hypocrisy. The other great contribution that Tauriel makes is Kíli . Now, I say this as a huge Tolkien fan and as someone who loved the book: I never gave a sh*t when Fíli and Kíli died. I know I know, burn me at the stake. The Hobbit was a book about Bilbo, Gandalf, Thorin, and twelve other dwarves with different names who were all basically also Thorin. There was no real difference between them. 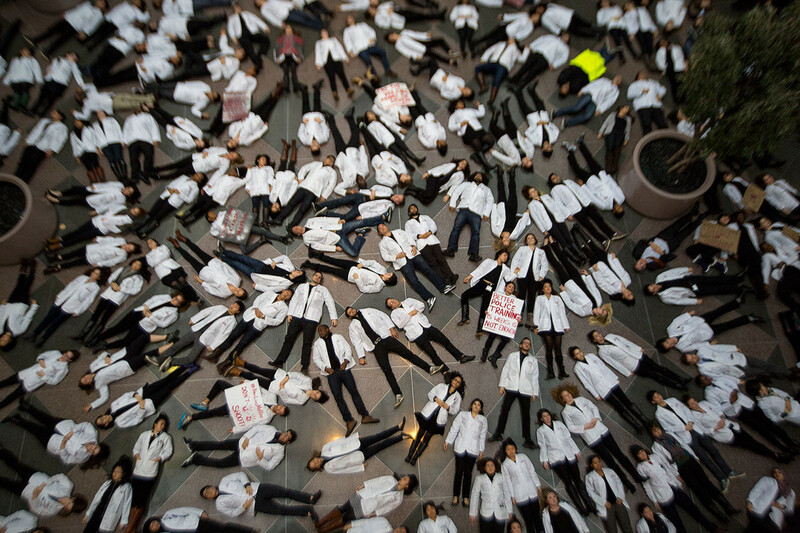 Yes, some were fatter and some were taller and some were older but really: who cared. It is a mark of poor storytelling to have so many named characters with so little character between them. Yes, I just criticized Tolkien: deal with it. Even with three movies, can you name all the dwarves? When I saw the Battle of the Five Armies in theaters, I heard something I did not expect. Gasping. 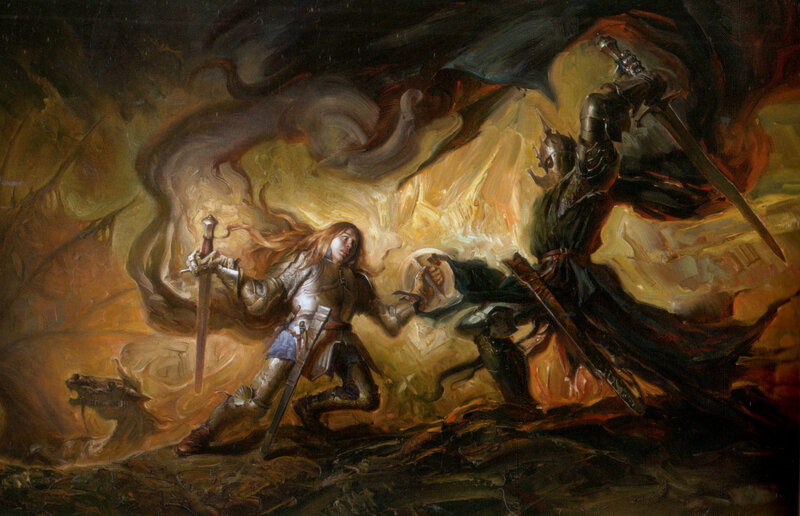 People gasped when Kíli died. Now, people who read the book would not gasp since they would know it was coming. Generally also, people do not gasp at the deaths of characters they do not care about. What then could be the reason? 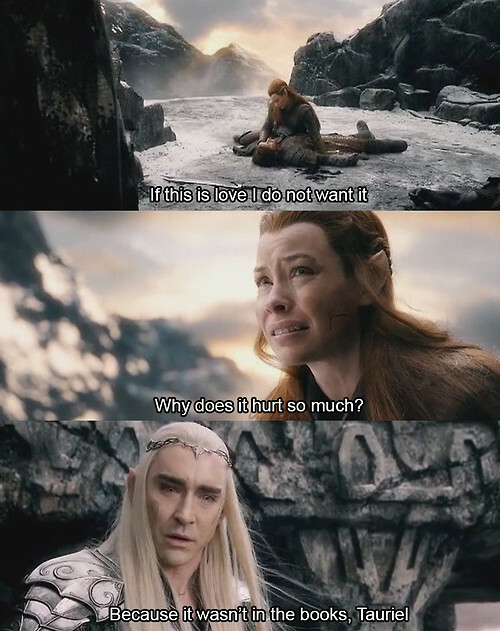 Tauriel made people care. The love story made people care. Was it a perfect love story? Not by any stretch, but it was better than Twilight and it worked the way that Jackson had designed it to. By including a new character, he was able to add to the character of the dwarves. Okay… I will give you that. The dialogue in this scene sounded right out of high school. So while she was a lady, Tauriel was added for more than just her gender difference. She improves upon weak areas of the book and allowed for people who have never read the Hobbit as children to care a little bit more about this Middle Earth journey. Was the addition a successful one? Maybe or maybe not (that’s a matter of opinion), but it was a defensible one.